Berlin Germany's Foreign Ministry summoned the U.S. ambassador Thursday following allegations that American intelligence may have targeted Chancellor Angela Merkel's cellphone. In her first public comments since news of the allegations emerged, Merkel said she told President Obama that "spying among friends cannot be." "We need trust among allies and partners," Merkel said as she arrived in Brussels at a long-planned summit of the European Union's 28 leaders. "Such trust now has to be built anew. This is what we have to think about." She stressed that the U.S. and Europe "face common challenges; we are allies." But, she added "such an alliance can only be built on trust." Earlier, a senior lawmaker expressed concern at the White House's statement that it isn't monitoring and won't monitor Merkel's communications - a response that didn't address what might have happened in the past. And the defense minister added that Europe can't simply return to business as usual in trans-Atlantic ties following a string of reports that the U.S. was spying on its allies. Merkel's government says she complained to President Barack Obama Wednesday after receiving information her cellphone may have been monitored. It wouldn't elaborate, but German news magazine Der Spiegel, which has published material from NSA leaker Edward Snowden, said its research triggered the response. The U.S. Embassy said it had no comment. Defense Minister Thomas de Maiziere told ARD television the alleged surveillance would be "really bad" if confirmed. "The Americans are and remain our best friends, but this is absolutely not right," he said. 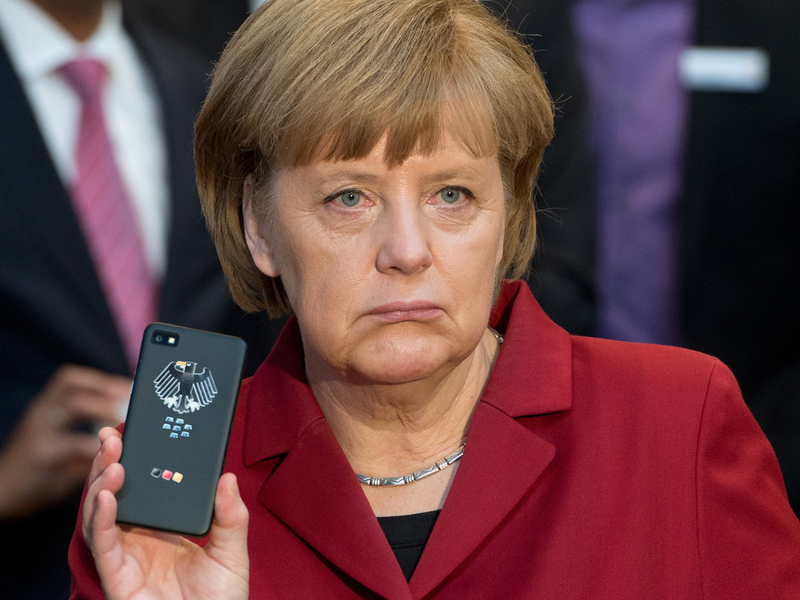 "I have reckoned for years with my cellphone being monitored, but I wasn't reckoning with the Americans," said de Maiziere, who was previously Merkel's chief of staff and Germany's interior minister. "We can't simply return to business as usual," de Maiziere said when asked about possible effects on U.S.-German and U.S.-European relations. "There are allegations in France too." Allies' anger over NSA spying justified? This week, France demanded explanations of a report the U.S. swept up millions of French phone records, and also summoned the American ambassador to demand an explanation. However, the former head of France's counter-espionage agency told French daily Le Figaro that he was "astonished" by the outrage expressed over the NSA allegations since France also spies on the U.S.
"I am amazed by such disconcerting naivete," he said. "You'd almost think our politicians don't bother to read the reports they get from the intelligence services." De Maiziere didn't specify what effects the affair might have on relations. However, he said that "the relations between our countries are stable and important for our future; they will remain that way." Germany, which has Europe's biggest economy, has been one of Washington's closest allies in Europe. The United States was West Germany's protector during the Cold War and the country is still home to thousands of U.S. troops. White House spokesman Jay Carney said Wednesday that Obama assured Merkel that "the United States is not monitoring and will not monitor the communications of the chancellor." The German government didn't say what Merkel thought of Obama's response, but a prominent lawmaker with her party who heads Parliament's domestic affairs committee criticized Carney's statement. "I think we are all outraged, across party lines," Wolfgang Bosbach told Deutschlandfunk radio. "And that also goes for the response that the chancellor's cellphone is not being monitored - because this sentence says nothing about whether the chancellor was monitored in the past." Merkel had previously raised concerns over allegations of mass electronic eavesdropping when Obama visited Germany in June, demanded answers from the U.S. government and backed calls for greater European data protection. Her government is striking a markedly sharper tone now, and signaling frustration over the answers provided so far by the U.S. government. In a statement Wednesday, the government said Merkel called for U.S. authorities to clarify the extent of surveillance in Germany and to provide answers to "questions that the German government asked months ago." Ahead of Germany's elections in September, which Merkel won, Germany's opposition accused her government of downplaying revelations of NSA spying - although at the time there was no suggestion the chancellor's phone was targeted. On Wednesday, European lawmakers called for the suspension of an agreement that grants U.S. authorities access to bank data for terror-related investigations, a sharp rebuke of Washington's surveillance programs.